Are you looking for petite resort wear for an upcoming vacation? Choosing the right clothes to wear on your vacation is so important that it is worth a lot of planning. What kind of petite resort wear you bring on the trip can affect how comfortable you are and how you feel about yourself the whole time. When you are choosing petite resort wear, there’s several things you should consider. We will first go over those, and then give you recommendation on what looks best on petite women and where to shop for petite resort wear. 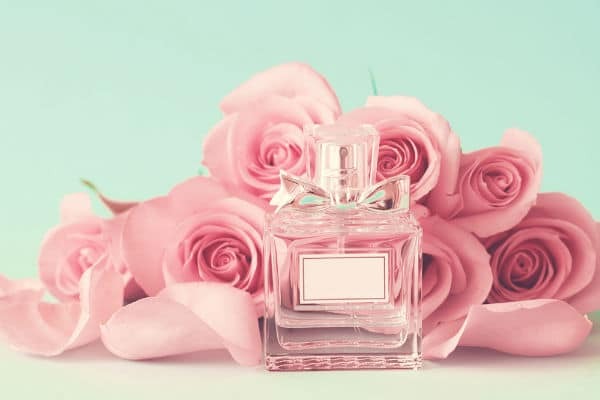 A vacation is different than a business trip or a visit to your family, therefore, what you should bring and what you should wear could be totally different. Here is the list of things you should consider before buying petite resort wear. First, what type of destination are you going to? 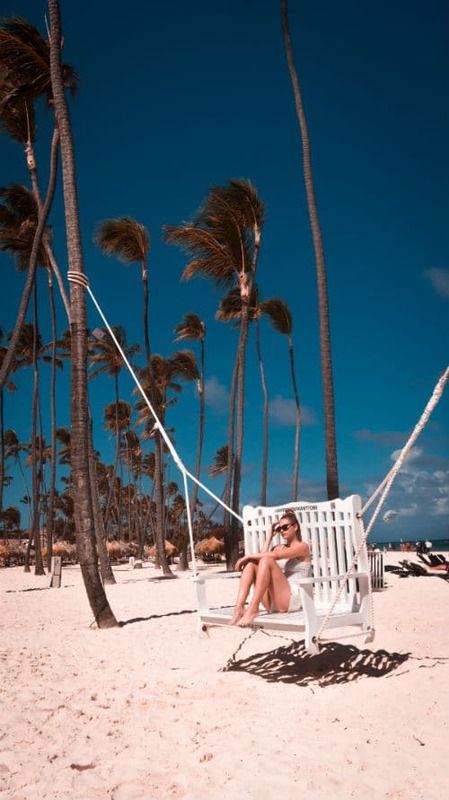 If you are going to a tropical island in the Caribbeans, the best petite resort wear might be different than what you should wear to the springs resort in Colorado or golf resort in Charlotte. The weather of the destination is critical obviously. Your resort wear should suit the local weather and make sure you are not too hot or too cold. In general, your better choices are petite resort wear made of breathable fabrics. Second, what are your activities at the resort? This is related to our last point, because what you are going to do at the resort determines what kind of petite resort wear you should pack. Are you going to be mostly lying on by the pool and sip on cocktails? If so, a relaxed fit maxi dress might be your best bet because you can easily take it off and jump in the pool. If you are planning to be more active on the trip and explore the activities like para sailing then separates or a petite jumpsuit will make sure you have the flexibility when you are active. If you are going on family vacation with young kids, you should not only consider your own activities, but also the kids activities. If you are going to play with your kids in the sands a lot, you probably don’t want to bring expensive silk dresses. A cotton shirt and a pair of relaxed fit pants will be ideal, which you can easily throw in the wash machine. If you are on the beach and exposed to the UV ray all day, you want to make sure your clothes also provide enough coverage of your skin to prevent sun burn or skin cancer. Third, what is the dress code for the resort? Even though you are going on vacation and sounds like you could just wear whatever you want, chances are some resorts might have dresses codes for some parts of their premises. Many resorts have dress codes for their restaurants, especially if you are going to an upscale resort. If the resort does have dress code, it normally would be more strict for men than for women. For instance, they might request long sleeve shirt and long pants for the men for some of the fine dining restaurants on the premise, whereas there is less restriction for the ladies. Still, before your trip, it’s best to find out about the restaurant dress codes for the resort. You can usually find such information on the website of the resort, or you can contact their front desk. Fourth, prepare petite resort wear for both day time and night time. 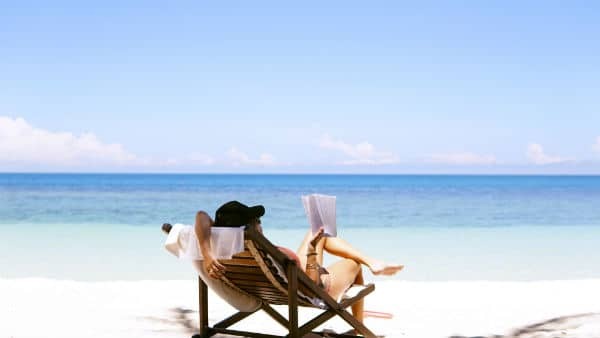 When you are on vacation, you might be charged for the day time and be out and about in the sun during day time, so you will need resort wear that is comfortable and not restrictive. In the evenings, however, you may want to dress up for a nice dinner, and you probably will look the best in a nice evening dress. 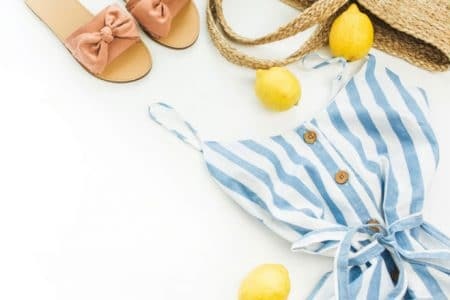 Now that you know what you should be looking for in petite resort wear, here is our most recommended items you should bring on to your trip. Nothing is more relaxing and comfortable than maxi dresses if you are going to a beach resort or plan on lying by the pool all day. Maxi dresses are especially flattering for petite women, because they form an unbroken vertical line that effectively lengthens short girls. The most important part of choosing petite maxi dresses is of course the length. Make sure you get them in petite size, , because regular sizes are made for girls 5’5″ tall and probably are going to be dragging on the floor for you. There is plenty of petite designers that carry petite length maxi dresses that you do not need alteration. What shoes you wear with the maxi dress could give you totally different look at the resort. 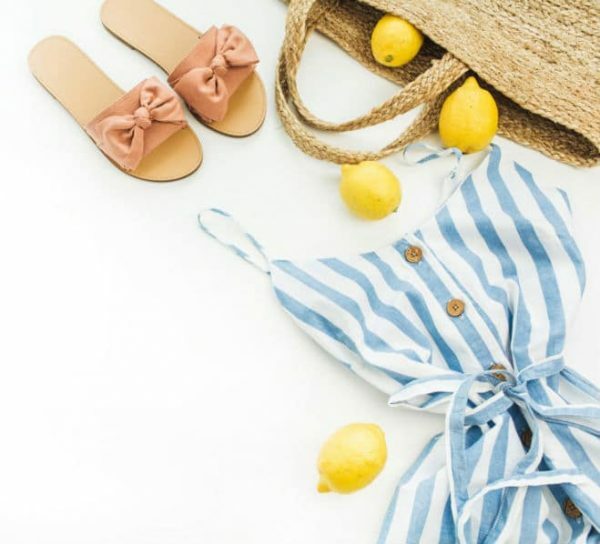 When you are packing petite maxi dresses for your trip, you should prepare one pair of flat sandals and one pair of heeled sandals. Flats are prefect for a relaxed and casual look of the day time. If you are going to a nice restaurant in the resort, you’ll look polished with a pair of heels on. Petite jumpsuits are gaining popularity in recent years because they are both dressy and functional. During the day time when you have planned a lot of activities at the resort, wearing a jumpsuit will give you the flexibility and comfort for you to be active. At night time, wearing the jumpsuit with a pair of heels will immediately dress you up, without having to think about what top works best with what skirt. Besides being versatile, jumpsuits are particularly flattering to short women because they form an unbroken vertical line (sounds familiar? yes, it is the same rationale as the maxi dresses). The one piece design makes petite women look taller than they are. Sundresses are the summer staple that you should always have in your closet, whether you are going on vacation or not. 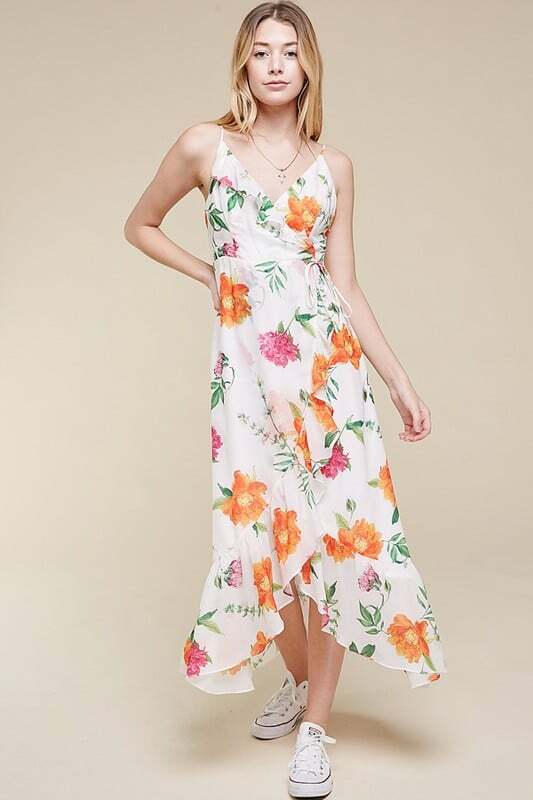 Floral print petite sundresses are a must for your vacation, if you are going to a tropical island. The best is to wear sundresses made of breathable natural fabrics like cotton or rayon. They will make sure you will not be too hot even if you are under the sun a lot. 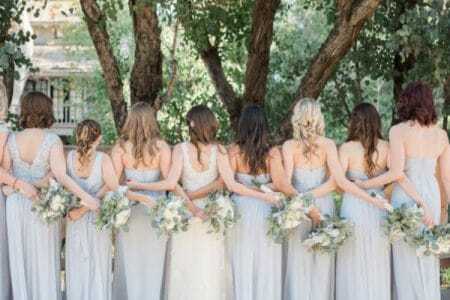 Depending on your body shape, you should choose the best dresses that accentuates your assets. The best sun dresses for petite women are the fit and flare shape. They are perfect for you to bring to the resort because they are more comfortable than body con dresses but in the meantime still are fitted and flattering for your petite frame. Petite palazzo pants are the most comfortable choice if you are looking to bring a pair of pants for your trip. If you are not familiar with the word palazzo pants, they are the long women’s trousers cut with a loose, extremely wide leg that flares out from the waist. Palazzo pants’ loose legs make them a favorite for the summer vacations. Even though a lot of women love palazzo pants, it is harder for petite girls with short legs to pull them off. That is why it is especially important for you to pay attention to the fabrics and length as well as the shoes you wear with them. Since palazzo pants have wide legs which might make petite women look shorter, therefore your best choice of inseam is to go longer than your normal pants and wear them with heels. The tip is to try on the pants with the shoes you intend to wear with them so that you can choose the best length that works with your shoes. That said, when you are on vacation, there might be times you find shorter length palazzo pants are more convenient. In that case, pay more attention to the prints to counterbalance the possible “shortening” effect. Look for vertically inspired designs or patterns because they always strengthen and can look more flattering on shorter women. Silk crepe/crape, jersey, linen and other natural fabrics are popular fabrics for petite wide leg pants. They should be flowy as you walk. And of course, when you are in a resort, comfort is the ultimate goal. There is no rule that says you cannot wear palazzo pants with flats. Petite rompers are also a fabulous choice for petite resort wear. They are just as functional as jumpsuits, and you can totally wear them both day time and night time. With rompers, you don’t have to worry about inseam. However, that doesn’t mean any rompers would fit petites. The important thing is to find the rise that fits you the best, which you can only know by trying them on. Go with the rompers with floral or tropical prints- they are the best choices for vacation style.